Helen Money is, for the uninitiated, your new favorite dark experimental cello composer, and Become Zero is, for the uninitiated, your new favorite dark experimental cello album. I know that sounds really niche, (And trust me, it is) but her efforts have always been, if not accessible, accessible enough – for lovers of outer sound at least. While there are definitely times when Become Zero borders on the metallic, it really is different enough as to be categorized as its own thing. The real fascination comes from the sheer power of the compositions here. Using only a drum machine and a fuzzed out cello, you'd think that Helen Money's musical pallet would be rather limited. Yet somehow, with every song she more than delivers. These pieces burn passionately, a fiery triumph lighting up every single one and reminding us why it's important to reach into the world of weird music. 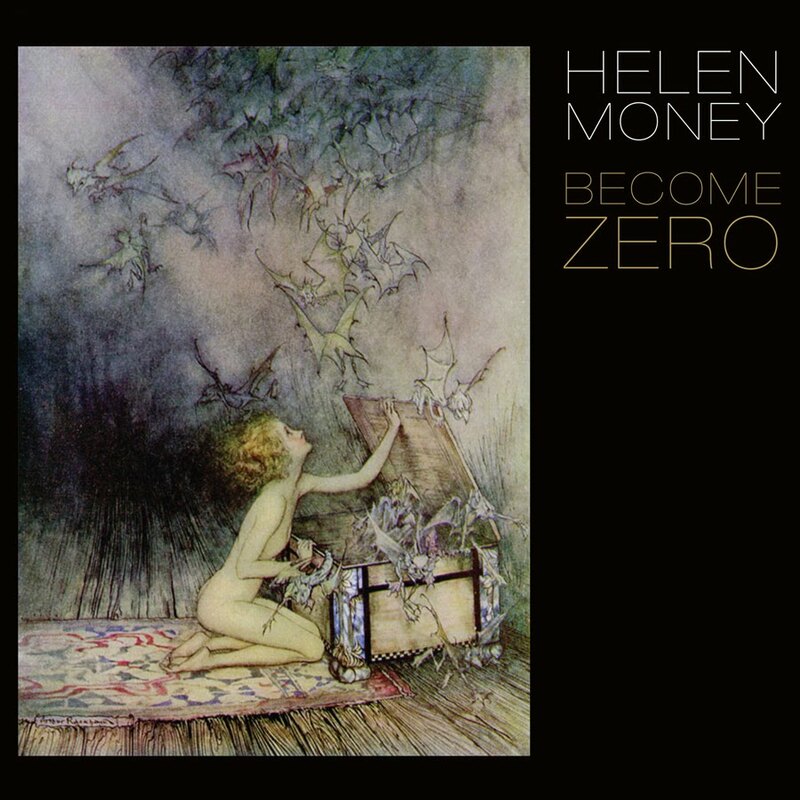 There is something distinctly transcendent about what Helen Money does on Become Zero, she violates so many laws of traditional Western music, but she still manages to come out with something truly beautiful. A huge part of the appeal is that Helen Money is rarely dissonant, so as a general rule, things have the time to seep into your soul without jarring the listener too much. I write this, the sickest I've been in two years. Tired as a dog. Flying over the Atlantic Ocean. It's a truly miserable experience, and yet through this pain, something about Become Zero is able to comfort me. Something about what Helen Money has done here, with her sound that absolutely will not do what you ask of it. She has tapped into the human condition, cosmic rebellion and the triumph of the spirit. Sure it may just sound like some woman banging away on a funny sounding cello, but the more you pick it apart, the more you see, Helen Money has seen the light.